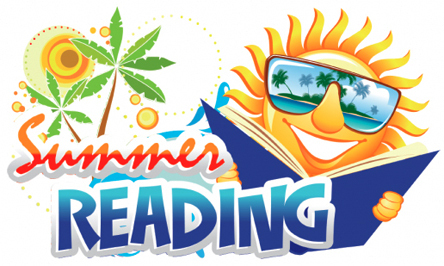 Registration is now underway for the Artesia Public Library’s annual Summer Reading Programs, and Artesians of all ages are sure to find plenty of programs to enhance their summer fun. All three programs – children, teens and adults – are offering prizes throughout the summer, including a grand prize at their culmination, for consisted summer reading, but each program is also enhanced by a full slate of interactive events. Children ages 0-12 can enjoy Community StoryTimes, hosted by local businesses and organizations, throughout June and July, as well as a STEAM (Science, Technology, Engineering, Arts and Mathematics) Lab from 10 a.m. – 2 p.m. each Wednesday that will offer a new building challenge every week. Thursday events will features presentations from such groups as the Girl Scouts to the Explora science center of Albuquerque, and from 10 a.m. – 2 p.m. each Friday, children can drop by and participated in that week’s LEGO Lab challenge. Teens in grades 6-12, meanwhile, can use clues to search the library for specific items each Find It Monday for prizes and will have the chance to build everything from cosplay costumes to water games to skyscrapers on Build-It Tuesdays. Movie Wednesdays will feature films and related crafts, such as “Maze Runner” straw mazes and “Divergent” book page art, Terrible Thursdays will help teens beat the summer doldrums with video games and time to hang out with friends, and Engineer Fridays offer activities such as pom-pon launchers, chalk poetry, and a community scavenger hunt. There’ll be plenty of fun available for the kids at heart, as well, as adults ages 18 and up are invited to “Craft with Care” for pets, seniors, babies and Operation Gratitude, spin the Wheel of Books to read, win prizes, and solve a puzzle, and participated in the International Cooking Club by choosing recipes from each week’s featured cookbook. The summer’s adult program will also include a volunteer fair, the Paperbound and Silver Screen book and movie club, and presentations by Green Clean, Habitat for Humanity, Blackwater Draw Museum, and “Dale Evans” July 22 for the Day of the Cowboy. All of the programs will culminate at 6:30 p.m. Friday, July 28, with family miniature golf in the library. 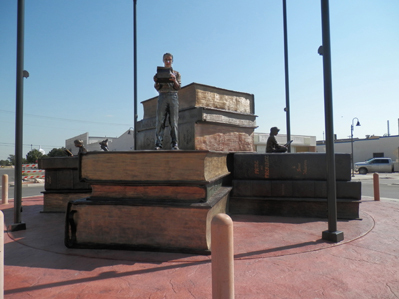 The library’s events will be featured each week in the Around Town section of the Daily Press. For more information, call the library at 746-4252.